Nonviolent Initiative for Democracy Inc. (NID) is a non-profit organization that aims to teach the principles and methods of nonviolence in the process of establishing democracy. We believe that in developing societies the road to democracy will be better paved and stronger, if it is through nonviolent struggle, dissemination of democratic and peaceful norms and values, and promotion of pluralism and tolerance. We maintain that belief in pluralism in theory and practice, peaceful coexistence, tolerance, and respect for freedom of thought, are pre-conditions for democracy as well as a better world without violence. Thus the dissemination of nonviolence principle in all facets of individual and collective life constitutes the essence of our efforts. We endeavor to contribute to the goal of global peace and security and establishment of democracy, as well as treating these goals as a universal set of values. Nazie Eftekhari is an innovator devoted to serving people and advocating for their rights. She is the founder and principal architect of HealthEZ and founder of The Araz Group (dba Americas PPO), the first Preferred Provider Organization in the country. In fact, the term PPO was coined to describe her innovation. 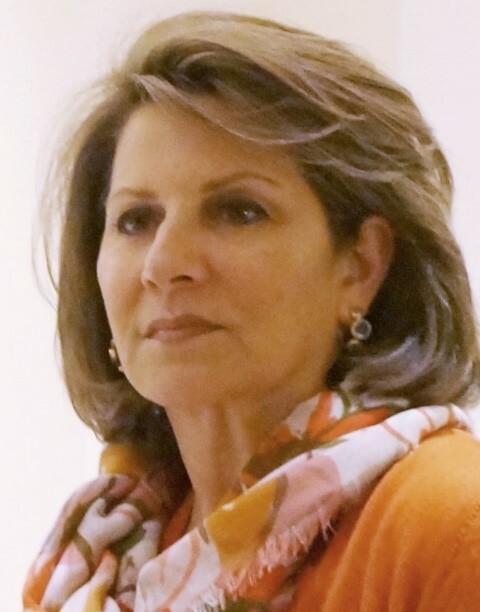 Often recognized for her leadership in business and service to the community, Ms. Eftekhari received the 2011 International Immigrant Achievement Award from The International Leadership Institute. Her accomplishments have also been recognized through numerous awards including the “Minnesota Advocates for Human Rights Award” and the “Woman of Distinction Award”. HealthEZ has been named a Top 100 Workplace by the Minneapolis Star Tribune and The Araz Group has been cited by City Business as one of the region’s top 25 women-owned businesses. Passionate about human rights, Ms. Eftekhari established The Foundation for the Children of Iran (FCI), the nation’s first nonprofit established by an Iranian-American after the Revolution of 1979. An organization dear to her heart, FCI is dedicated since 1991 to enabling indigent children from Iran or of Iranian origin to receive healthcare services in the United States that are not available to them in Iran. She serves on the boards of the University of Minnesota Carlson School of Management and the Nonviolent Initiative for Democracy (NID). She is also a member of Speaker Pelosi’s Cabinet Leadership Circle and numerous other volunteer organizations. Ms. Eftekhari is a graduate of the London School of Economics and holds master’s degrees in International Relations from the University of Southern California (UK) and in Health Care Administration from the University of Minnesota. She has a son, Sahm McGlynn, and a daughter, Raz McGlynn, who are unabashedly her pride and joy. Dr. Farzin Vahdat is the chief research officer of the Nonviolent Initiative for Democracy (NID). Dr. Vahdat holds a Ph.D. in sociology from Brandeis University and is an authority in the analysis of the concepts and conditions of modernity and their application to Iran, Islam and the Muslim world. Vahdat is the author of God and Juggernaut: Iran’s Intellectual Encounter with Modernity (Syracuse University Press, 2002), of the forthcoming Islamic Ethos and the Specter of Modernity, and of numerous articles in English and Persian, a number of which have been translated into various languages, including Swedish, Italian, and Spanish. Dr. Vahdat has taught at Tufts, Harvard and Yale Universities and Vassar College and is currently conducting research at Vassar. Mrs. Shirin Rahimian holds a Bachelor’s degree in English literature from U.C. Davis and received an MBA degree in 1989 from California State University in Sacramento. The Rahimians have been involved in many philanthropic activities since immigrating to the United States. In 2000, they formed a scholarship endowment fund at U.C. Davis for Iranian American students in need of financial assistance. Advisory board of Iranian Studies, under Middle East/South Asia Studies, UC Davis; IAPAC (Iranian American Political Action Committee); and the Shifa Clinic in Sacramento. 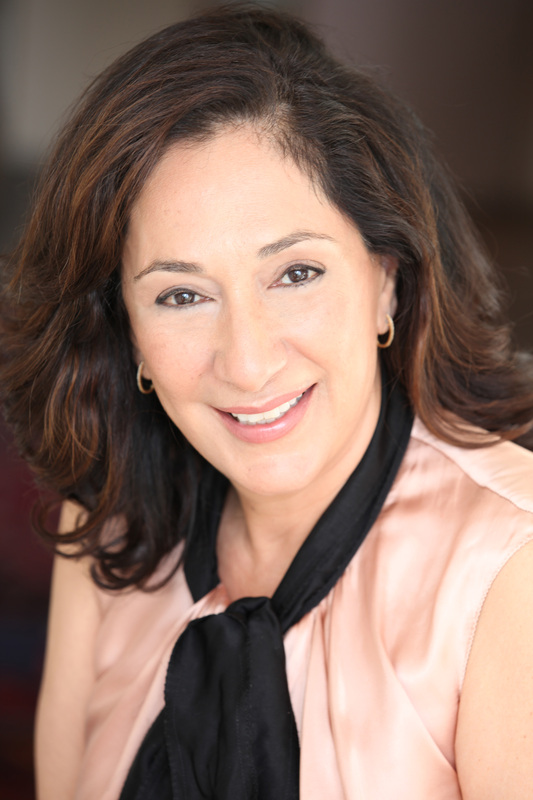 Dr. Fatemeh Haghighatjoo is the chief executive officer of the Nonviolent Initiative for Democracy Inc. (NID). She is an expert on Iran’s internal affairs and a leading advocate of human rights and democracy in Iran, who was a member of Iran’s reformist parliament from 2000-2004. Dr. Haghighatjoo has held many academic positions at MIT, Harvard and University of Connecticut and University of Massachusetts Boston. She has been quoted and interviewed by international Media and TV on Iran’s domestic politics. Dr. Haghighatjoo was chair of the Student Movement Caucus and a deputy of the Mosharekat Caucus in the 6th Parliament in Iran (2000-2004) as well as a member of the political bureau of the Mosharekat party in Iran. Haghighatjoo earned her Ph.D. in Counseling from Tarbiat Moalem University, served as a lecturer at the National University of Iran, and authored Search for Truth (2002). She has served as the Vice President of the Psychology and Counseling Organization in Iran. She was honored as a Young Global Leader in 2005 by the World Economic Forum. 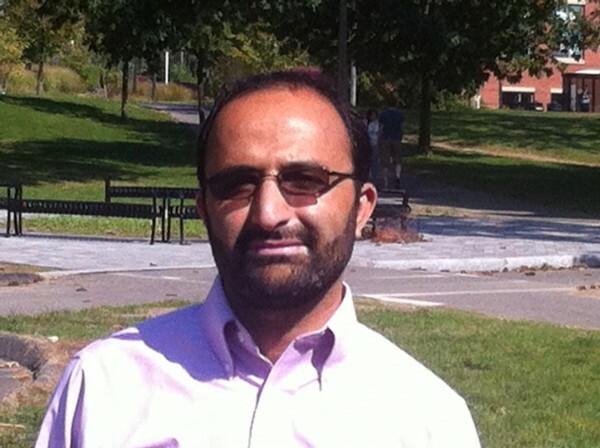 Mohsen Jalali is a Research Fellow at the Nonviolent Initiative for Democracy (NID). He holds a Master’s Degree in Western Philosophy from Tehran University and is currently a Research Scholar at Smith College. His research interest is in Middle Eastern politics, American foreign policy in the Middle East, ethnic politics and democratization. As a Fulbright Scholar, Mohsen taught Persian language at the Five Colleges in Amherst, Massachusetts for the 2008-2009 academic year. Leigh Crossett is an intern at the Nonviolent Initiative for Democracy, writing research papers concerning democratic initiatives, and conducting background research for grant proposals. She is currently pursuing her Bachelor’s Degree in International Relations at Boston University, with concentrations in the Middle East and North Africa, and International Systems. She is also pursuing minors in Political Science, and Holocaust and Genocide Studies. Her areas of particular interest are human rights, ethics, and democratization. Adam Michnik is the editor-in-chief of Gazeta Wyborcza. He was one of the leading organizers of the illegal, democratic opposition in Poland. A historian, essayist, and political commentator, he is the recipient of laureate of many awards and distinctions including Robert F. Kennedy Human Rights Award(1986),Prize winner of Prix de la Liberte of the French PEN-Club (1988), Europe’s Man of the Year (1989) – prize awarded by the magazine La Vie ,OSCE Prize for Democracy and Journalism (May 1996), Grand Cross of the Order of Merit of the Federal Republic of Germany (2001), French Legion of Honor ( [France]], 2003) , and Dan David Prize award 2006 . He was listed by “Financial Times” as one of the 20 most influential journalists in the world. Dr. Akhavan teaches and researches in the areas of public international law, international criminal law and transitional justice, with a particular interest in human rights and multiculturalism, war crimes prosecutions, UN reform and the prevention of genocide. He was previously the Boulton Senior Fellow at McGill, Distinguished Visiting Professor at the University of Toronto Faculty of Law, and Visiting Lecturer and Senior Fellow at Yale Law School and the Yale University Centre for International and Area Studies. He has published extensively including “Beyond Impunity: Can International Criminal Justice Prevent Future Atrocities?” (2001) 95 American Journal of International Law 7 (www.asil.org/ajil/recon2.pdf) selected by the International Library of Law and Legal Theory as one of “the most significant published journal essays in contemporary legal studies.” He is also the author of the Report on the Work of the Office of the Special Advisor of the United Nations Secretary-General on the Prevention of Genocide (2005). Professor Akhavan was the first Legal Advisor to the Prosecutor’s Office of the International Criminal Tribunals for Former Yugoslavia and Rwanda and played a key role in the development of its foundational jurisprudence. He also has considerable experience in post-conflict peace-building and international dispute settlement, having advised the UN on transitional justice, appearing as counsel before international courts and tribunals on behalf of sovereigns, and serving on the board of directors of human rights NGOs, including the Iran Human Rights Documentation Centre (www.iranhrdc.org), in New Haven, of which he is also the president and co-founder. His work has been featured in the New York Times and, in recognition of his contributions to promoting accountability for human rights violations, he was selected by the World Economic Forum as a Young Global Leader (www.younggloballeaders.org) in 2005. Dr. Arato is the Dorothy Hart Hirshon Professor in Political and Social Theory, has taught at Ecole des hautes etudes, and Sciences Po in Paris, and the Central European University in Budapest, had a Fulbright teaching grant to Montevideo in 1991, and was Distinguished Fulbright Professor at the GoetheUniversity in Frankfurt/M, Germany. Professor Arato has served as a consultant for the Hungarian Parliament on constitutional issues: 1996-1997, and as U.S. State Department Democracy Lecturer and Consultant (on Constitutional issues) Nepal 2007. The scholarly research of Professor Arato is widely recognized and conferences and sessions have been organized around his work at University of Glasgow Law School in Spring 2009; and KocUniversity, Istanbul, in December 2009, as well as at the Faculty of Law. Witwaterstrand University, Johannesburg, South Africa, in August 2010. Dr. Mohammad Borghei is a professor at the Strayer University. He is teaching Sociology, Political Science and Humanity. He earned his Ph.D. form the University of Manchester in 1982. He worked on “Political Organization and Social Stratification of Coran (Baluchaistan) as his dissertation. He also work as a freelance writer and researcher since 1969. He has many publication including “Secularism, from theory to practice” Chatreh Publications, Tehran, Iran, 2006; “Pahlavi Dynasty and I” Tuka Press, California, USA, 1992; ““Political Organization of the Local Government of Bent (Baluchistan),” Bu-Ali Sina University Press, Hamadan, Iran, 1977; “Socio-economic changes of pastoral nomads of Turkashvand,” Bu-Ali Sina University Press, Hamadan, Iran, 1972; “In the nightly gathering of folktale saviors, volume I,” Maziar Publications, Tehran, Iran, 1972; “In the nightly gathering of folktale saviors, volume II,” Nima Publications, Hamadan, Iran, 1976; “In the nightly gathering of folktale saviors, volume III,” Nima Publications, Hamadan, Iran 1978; “A view of Baluchistan,” Maziar Publications, Tehran, Iran, 1971. Dr. Ronald Sharp is Professor of English at Vassar College, where he was Dean of the Faculty from 2003 to 2008. Before he came to Vassar he was Acting President, John Crowe Ransom Professor of English, and Provost of Kenyon College, where he was also Editor of The Kenyon Review. His special interests include nineteenth-century British literature, contemporary poetry, Australian literature, Romanticism, and the literature of friendship. Sharp is the author or editor of six books, including Keats, Skepticism, and the Religion of Beauty; Friendship and Literature: Spirit and Form; Reading George Steiner (with Nathan A. Scott, Jr.); The Persistence of Poetry: Bicentennial Essays on John Keats (with Robert M. Ryan); and Selected Poems of Michael S. Harper. With the late novelist and short-story writer Eudora Welty, he edited The Norton Book of Friendship. His articles and reviews have appeared in such journals as New Literary History, Paris Review, New England Review, Australian Literary Review, American Literature, Modern Philology, English Language Notes, TriQuarterly, Keats-Shelley Journal, and The Wordsworth Circle. A graduate of Kalamazoo College, Sharp holds a master?s degree from the University of Michigan and a doctorate from the University of Virginia. He is the recipient of fellowships from various foundations, including the American Council of Learned Societies, the National Endowment for the Humanities, the Ford Foundation, and the National Humanities Center. Roberto Toscano is the Italian diplomat. In the diplomatic carrier since 1969, he directed for several years the activities of the analysis and programming unit of the Italian Ministry of Foreign Affairs. . He published several essays on the topics of human rights and of the ethics of international relationships. He taught International Relationships at LUISS University in Rome. Amongst his books Soviet human rights policy and Perestroika, Beyond Violence. He is President of the Intercultura Foundation. The NID was created by the personal resources of the founding members and we maintain strict standards for independence. To achieve our goals we seek financial help from individuals, government and non-government organizations, as well as international and public institutions, while maintaining our standards of independence. We do not accept any funds from institutions and organizations, whether part of a government or non-governmental agencies, which are involved in violence or promote culture of violence. In our efforts to encourage governments and citizens toward non-violence, we do not restrict our activities to a particular region. Our priority, however, is the region that we can impact most. Therefore, the Persian speaking countries of Central Asia, the Middle East, the Islamic world, and beyond, will be areas of interest in the later phases of our project.